The noble House Morlov of Starkhaven has a history dating back to before the founding of the city itself. Proud, regal and filty rich the Morlov's want for nothing and have high expectations of those who share thier blood. Lord Damien Morlov, the current patriarch of this proud family had the honor of extending his power and wealth further by marriage to his wife Lucille. Lucile had married into the Morlov family from another extremely wealthy and powerful Starkhaven noble family the Rindells. Lucile was the eldest daughter and an only child and so the houses joined thier wealth and power together. This made Damien extremely powerful and his wife gave him two sons, a perfectly suitable heir called Leon and a rather…untraditional spare named Adrian. Adrian Morlov grew up like most rich nobles do. He was taught by the best teachers and offered chances to learn whatever he showed talent in. For Adrian himself that ment lessons in etiquette, music, song, how to play the lute, how to use a dagger and how to disarm someone with nothing but your smile and wit. Well, that last one was self taught along with a bit of lockpicking and disguising himself but I'm sure you get the idea. Adrian was rather unconventional though, his dreams were torn between what his family wanted for him and his desires to be a bard. Leon was a proud warrior, three years Adrains senior and the family heir. Adrian was simply an extra, an in case of emergency plan that was poorly planned. When he turned seventeen the walls of Adrians family estate began to feel like they were swallowing him, pressure to court noble ladies and advance family ambition drove the youth to sneak out among commoners. He grew almost as good at sneaking away as he was at performing and he crafted a guise for himself, Adrian Morlov was known Starkhaven Nobility but his face was not known to the public. He dressed down a bit and pretnded to be a comon merchants son and aspiring bard. Soon Adrian Lovett began to make a name for himself as a popular singer, songwriter, and story teller for the common folk. His stories mainly centered around common people crafting better lives for themselves, ither through great acts of adventure or of simple acts of kindness. His charitable nature and inspiring presence as directed at helping people more than anything else. That fame began to spread through Starkhaven and eventually Adrian was discovered by his father. The lecture that followed had Adrian so conflicted he fled the city all together. Adrian Lovett left for Kirkwall the next night. Arriving in Kirkwall Adrian has taken up residence in one of the local inns and is now working on spreading his fame in a city were he will be less likely to be recognized. Still his flight from his family nags at him, he knows what he wants but he also wonders if there isn't a way to balance what he wants with what his family wants of him. 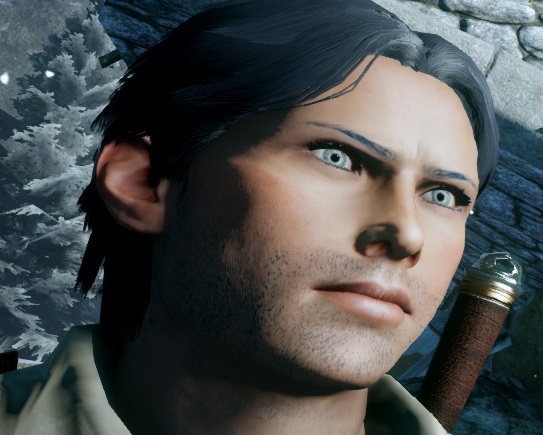 Still for now he remains a simple bard, wandering and performing in the taverns and markets of Kirkwall, doing his part to comfort and inspire the masses. Adrian is a cheerful optimist. He believes in the good in people and does his best to give them a chance to bring that good out and let it grow. There is a conflict in him, between his own persona dreams and the desires of his family but he choses not to dwell on what might be. Instead he currently lives his life as he feels he must, doing his best to bring joy and laughter to those he feels need it most. 9:10 Dragon - Adrian is born. 9:27 Dragon - Adrian starts showing up in Starkhaven taverns and making a name for himself as a common bard. 9:31 Dragon - Adrians fame in Starkhaven leads to his father discovering his hobby. Adrian flees to Kirkwall. The slender figure of a man who stands at exactly six feet tall. He has the lean, toned, and somewhat slender build of one who prefers grace over strength. Smooth and a light olive tone his skin is without flaws or blemishes. A hint of dark well yet trimmed stubble is present around his mouth and over the base of his jaw and chin. A nest of pitch black curls top his head. The dark locks are thick, soft, and more often than not neatly brushed. That hair reaches down to his ears and halfway down the back of his neck. Trimmed and arched brows brows sit low over his eyes. Those slightly slanted orbs are large and a dark grey color like the clouds of a coming storm. A straight nose with a dramatic point to it reaches down between his eyes sitting above small yet full lips. His face has an oval shape to it his features rather classically handsome. High cheekbones slope down to a strong squared jaw and a slender neck leads away to a lightly muscled yet slim figured body. A simple yet elegant shirt of dark blue cotton the color of the night sky brings out his dark grey eyes. That silk shirt is low collared and long sleeved. The low collar reveals a bit of the smooth olive skin of his chest before the shirt begins. The fit of the shirt is somewhat tight around his chest but loose and flowing at his sleeves. The sleeves reach just past his wrists and the front of the shirt is held closed with small round light catching glass buttons. This shirt flows down to his waist where a pair of black trousers are also worn along with a belt of sturdy black leather. The belt holds two daggers within easy drawing reach as well as a modest purse of coin and several pouches as well as what looks like a scroll case. The trousers are sturdy and well fitting, and while they hug his figure they also allow for some movement and comfort. The trousers tuck into a pair of simple flat soled boots of black leather. The boots are practical and unadorned yet the leather is of fine quality despite the simplicity. In colder weather a hooded cloak of dark blue with a silver clasp is also worn with this outfit. More often than not he is seen carrying a lute of elegant dark wood along with him as well. Curled across his shoulders with a fluffy white tail reaching down one side of his chest a haughty looking fennec is perched, her nose lightly nuzzling his neck. Like a regal queen on her throne the pretty fox has a coat to rival the cleanest snowfall in Thedas. She is a bit larger than a large house cat, her fur thick and fluffy. Her deep black eyes are wide and alert, watching people with varying expressions of tolerance and disdain. Large ears twitch and shift occasionally with passing sounds. That tail is expressive often swishing and flicking about to express her opinion on matters she deems important. She seems quite content to ride along, perched atop her human though occasionally she will deign to investigate something. When she walks and moves its on delicate paws, her movements prissy and her steps completely silent. After an adventure that involved foiling the plans of some unsavory smugglers, Adrian freed the sassiest fennec in Thedas from captivity. The female fox has a perfect snowy white coat and an extremely haughty disposition. Sassy is extremely worthy of her namesake and will go to great lengths to keep her coat pristine and bite anyone who dares question her beauty and authority. She is also quite fond of her pet human Adrian. Adrian goes by two surnames the self crafted surname Lovett, and his birth surname Morlov and lately he doesn't offer his surname at all. 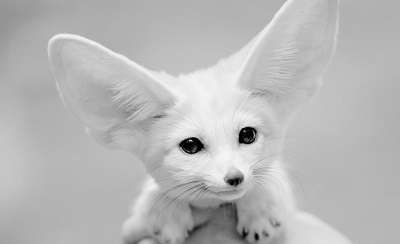 Adrian has a pet white fennec fox that he has aptly named Sassy. Adrian spends most of his time in Lowtown lately.